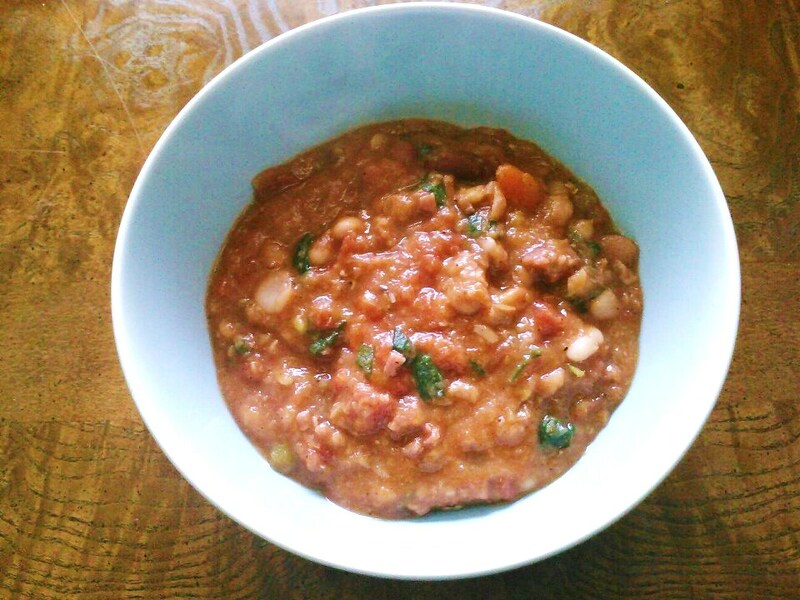 This is a delicious, hearty and economical soup that will warm you up! I usually serve this with some corn muffins. It is a great use for spiral ham leftovers. (1) Soak your dried beans in a pot overnight (discard the seasoning pack that comes with it). (2) The next day drain the dried beans. (3) In a large soup pot, add 1-2 tablespoons of olive oil and saute the celery, carrot, onions and garlic over medium high heat until the onion becomes translucent (about 8 minutes). (5) Turn the heat to high and bring the mixture to a rolling boil. Then reduce the heat to low and allow the soup to simmer for 1.5-2 hours. (6) Once the beans are fully tender, add the tomatoes, lemon juice, parsley and salt and pepper. If desired you can add additional leftover diced ham. (7) Continue to simmer the soup for another 10 to 15 minutes. *I usually pick out the black beans in the mixture as they turn the soup grey. This soup will continue to thicken as it cooks and sits. If you like it thinner - just reconstitute it with additional broth or water.